For many, the price of instability still appears to be too high to pay for democracy to take root. Using the term, the Economist recently reported on the Balkans: “Western countries ignore local autocrats’ anti-democratic practices so long as they keep the peace.” Is this not also a perfect description of most Southeast Asian states: internationally peaceful; economically growing; democratically woeful? Cambodia, Thailand, Vietnam, Malaysia, and Singapore all arguably fit the description to varying degrees, and perhaps more too if one were to be a little more flexible. 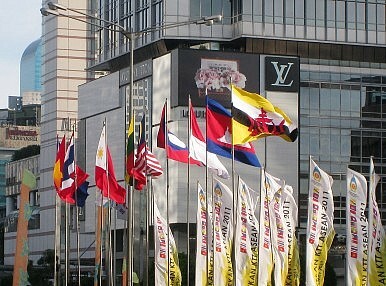 Many of the ten ASEAN nations have enjoyed average annual growth rates in excess of 5 percent in recent years. But during the same period, most have seen a serious deterioration in human rights, free speech, and democracy. Timor-Leste, the region’s poorest nation, and not a member of ASEAN, is routinely ranked as Southeast Asia’s most democratic country. In the face of brutal “drug wars” in the Philippines, a military junta in Thailand, and even the pro-democracy party in Myanmar acting as anything but, Western governments have done little else but issue copy-and-paste statements expressing outrage. For some reason, it is still readily reported that the United States punished Thailand after its 2014 coup, for example. Hardly. It suspended some military aid and scaled back some cooperation in this area but not much else. In fact, it still continued with the annual Cobra Gold military exercises. There were neither travel bans nor any major sanctions on trade. So why has the West turned a blind eye to, or an addled gaze at, the region’s stabilitocracies? First, arguably more pressing demands have arisen in the Middle East, Africa, and Eastern Europe. Laos’ Communist Party, say, continues jailing local activists but it is hardly about to start a major war any time soon (nor is it sending death-cultists into the West to massacre civilians). Second, as we have just seen, Southeast Asia’s stabilitocracies are growing economically, which provides lucrative markets for Western companies. And, third, the United States and the EU know that pressing Southeast Asia’s autocrats too hard will only drive them into Beijing’s embrace – though some, like Cambodia, have gone willingly. None of this is new, however. In the early 1990s, the UN launched one of its largest missions in history: a $2 billion project to restore peace and democracy to Cambodia under the auspices of the UN Transitional Authority in Cambodia (UNTAC). Today, it is readily said that its ideals failed. But that would be to confuse what those ideals were. Sebastian Strangio was correct when he wrote in Hun Sen’s Cambodia that the international community didn’t pay $2 billion to bring democracy to Cambodia; it paid to get Cambodia “off the agenda.” Charles Twining, who became the U.S. ambassador to Cambodia in 1994, commented that UNTAC “wasn’t to establish democracy… it was to stop the fighting” between the remnants of the Khmer Rouge and the Vietnamese-backed government, as Strangio noted. Today, however, a different line is taken. Working with dictators and autocrats is actually a means of promoting human rights and democracy, it is said. This was a narrative when former U.S. President Barack Obama began improving America’s relationship with Vietnam, one of Southeast Asia’s greatest abusers of human rights today and one of its least democratic countries (Laos and Brunei are in stiff competition here). “We see Vietnam’s progress in the skyscrapers and high-rises of Hanoi and Ho Chi Minh City, and new shopping malls and urban centers,” Obama said when visiting Hanoi last year. You don’t see it, however, outside Vietnam’s courtrooms or when speaking to an activist who’s had her head caved in by plainclothes police. If one could take the pulse of the Obama administration’s thinking, it might go like this. First, democracy and liberalism do not grow in unstable countries. Second, they are more likely to come about when people are richer, not poorer. Third, “strategic patience” is needed to compel autocratic regimes into change. Now, however, with Donald Trump in the White House, things have gotten a lot more confusing. If Obama’s stance on autocracy was one of tacit acceptance of anti-democratic practices for geopolitical or liberal motives, however wrong they were, Trump’s is one of willful ignorance with the addition of an unhealthy admiration for despotism. “If you condition our national security efforts on someone adopting our values, we probably can’t achieve our national security goals,” U.S. Secretary of State Rex Tillerson told State Department employees in May. At least Obama understood the difference between American exceptionalism and universal values. “The rights I speak of, I believe, are not American values; I think they’re universal values written into the Universal Declaration of Human Rights,” he said in Hanoi. And Obama had the intelligence to know that when Ho Chi Minh read his “Proclamation of Independence” in Ba Dinh Square, he prefaced his speech by quoting from the American Declaration of Independence. So what are we to expect from Southeast Asia’s stabilitocracies in the future? Another recent Economist article ran with the headline: “Southeast Asia’s future looks prosperous but illiberal.” Clearly, this is to be the case. What’s more, the region’s autocrats know the story better than most. The greatest campaigning tool of the ruling Cambodian People’s Party is to say that it was the party that brought stability to Cambodia. Indeed, as it goes into each election it tells the public, often explicitly, that if the opposition were to win then Cambodia would return to civil war, and possibly genocide, once again. The United Malays National Organization (UMNO), the party which has ruled Malaysia since independence, increasingly campaigns on the promise that it will uphold stability for the majority Malay-Muslim population, a rather exclusivist agenda for the multiracial country. If it loses an election, UMNO says, the lives of this demographic will be ruined. Is it any wonder that the Thai military junta calls itself the National Council for Peace and Order? Is it surprising that Philippine President Rodrigo Duterte evokes “peace and order” – somewhat contradictory terms when they come from the mouth of Digong – to justify his brutal drug war, which has killed at least 8,000 people? Or, that when the regimes of Vietnam or Laos arrest activists they claim to be maintaining national order and security? And when Singapore outlaws free speech, the justification is often for maintaining peace between ethnicities and religions, when everyone knows it’s politically-motivated? But here is the question for all of us who stand in solidarity with the democracy and free-speech activists of Vietnam, Thailand, Cambodia, et cetera: Do we really want an end to stability? Vietnam, for example, is today stable, its people growing richer, and its economy prospering too. But such stability also allows the government to crack down easily on critics and human rights defenders. If democracy is to come to Vietnam, stability will be necessarily be endangered – in fact, change won’t come without instability. But it is not just Western governments that desire Southeast Asian stabilitocracies. It is also the millions of Western tourists and expats and businesspeople who live in the region. More important, it is also the Vietnamese and Cambodians and Thais and others who have actually known civil wars and genocides and the true cost of instability. It would be nice to think that Southeast Asia could become democratic and its people autonomous without spilling one ounce of blood but that would simply be utopian. In reality, instability is the midwife of democracy and liberalism. How much instability it will take, however, is the most important question. Where Are Southeast Asia’s Loyal Oppositions? A closer look at opposition dynamics at play in the subregion. The Future of Singapore’s Politics in Focus Amid Election SpeculationThe Eternal Win-Wins of Hun Sen’s Power in CambodiaThe Trouble With Cambodia's Largest Opposition PartySingapore’s Presidential Review: Change You Should Believe in?PAP Manifesto Falls Short?